Mycodiversity is our biosecurity. Let's celebrate decomposition. Let's let it rot. 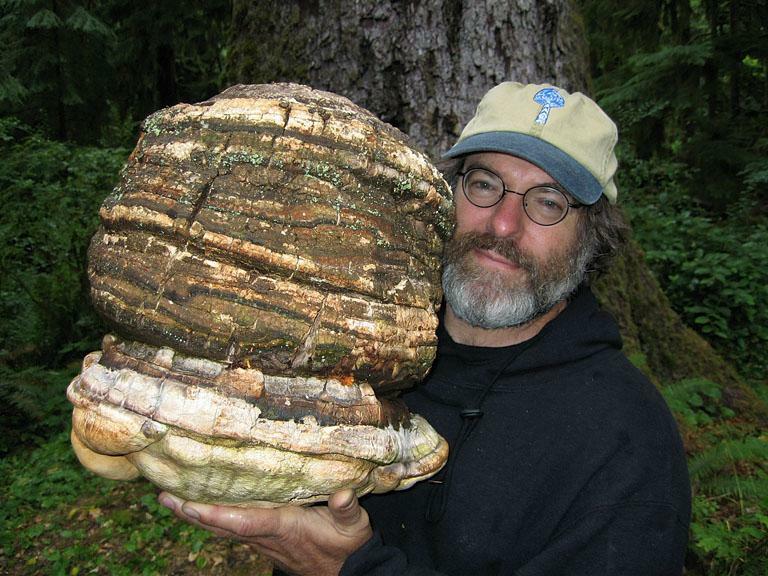 Paul Stamets, speaker, author, mycologist, medical researcher and entrepreneur, is considered an intellectual and industry leader in fungi habitat, medicinal use, and production. He lectures extensively to deepen your understanding and respect for the organisms that literally exist under every footstep you take on this path of life. His presentations cover a range of mushroom species and research showing how mushrooms can help the health of people and planet. His central premise is that habitats have immune systems, just like people, and mushrooms are cellular bridges between the two. Our close evolutionary relationship to fungi can be the basis for novel pairings in the microbiome that lead to greater sustainability and immune enhancement. The Gordon & Tina Wasson Award (2015) from the Mycological Society of America (MSA). ​An Earthling dedicated to saving biodiversity and protecting habitats and health, Citizen Paul invites you to explore the fascinating interconnections of fungal networks ​in nature and evolution.